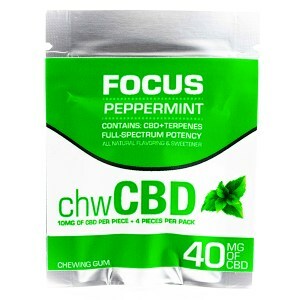 , enhances cognition, and mood, stimulates mental and physical activity, aids in relieving anxiety and inflammation. 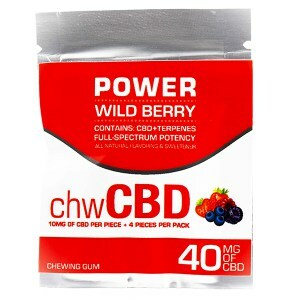 Flavor: Wild Berry Ingredients: Gum base, sorbitol, isomalt, full-spectrum cannabidiol (CBD), niacin, vitamin-B6, vitamin-B12, green tea extract (caffeine), stevia, all natural wild berry flavoring.Tangy and tart, a great option for acute aches and pains. Assists with pain relief stimulate circulation eases the sense of nausea and will enhance mood. Aids in relieving anxiety and inflammation. Flavor: Citrus Medley Ingredients: Gum base, sorbitol, isomalt, full-spectrum cannabidiol (CBD), vitamin C, vitamin B12, green tea extract, stevia, all natural citrus flavoring.A perfect balance of tropical fruits for a mouth-watering flavor, and energizing effect. Promotes alertness, increases energy levels, enhances cognition, and mood, stimulates mental and physical activity, aids in relieving anxiety and inflammation. Flavor: Wild Berry Ingredients: Gum base, sorbitol, isomalt, full-spectrum cannabidiol (CBD), niacin, vitamin-B6, vitamin-B12, green tea extract (caffeine), stevia, all natural wild berry flavoring.Organic, full-spectrum, hemp-derived CBD oil, combined with mono-terpenes, and USDA, human-grade ingredients for relief from anxiety and stress! Out petCBD Calm and Composed Treats were specially formulated to relieve both anxious and nervous dogs with the anti-anxiety effects of cannabidiol (CBD). Other active ingredients include: Valerian Root: an herbal remedy used to ease insomnia, stress, and nervousness.Lavender: a flowering plant, used for its anti-anxiety, anti-inflammatory, and antioxidant properties.L-Tryptophan: an essential amino acid; helps control mood, sleep, and social behavior.Organic, full-spectrum, hemp-derived CBD oil, combined with mono-terpenes, and USDA, human-grade ingredients for relief from pain and inflammation! Our petCBD Treats for Joint Health were specially formulated for man’s best friend. In addition to the anti-inflammatory and analgesic properties of cannabidiol (CBD), our treats include: Glucosomine – a natural compound in the body, helps keep cartilage healthy.Chondroitin – a substance that occurs naturally in connective tissue, reduces pain and increases joint mobility.Willow Bark – contains salicin (pain relieving), and potent anti-inflammatory compounds.CoQ10 – found in every cell of the body, produces energy for cell growth and maintenance, antioxidant. Both a preventative and a combatant against pain and inflammation! Organic, full-spectrum, hemp-derived CBD oil, combined with MCT oil, creating an effective means for relieving anxiety and pain for your feline. Highly concentrated with 250mg of CBD per 10mL dropper, our petCBD – Oral Drops for Cats is simply applied to your pet’s favorite treat for fast relief. Anti-anxiety, antioxidant, and anti-inflammatory all in one bottle! Our petCBD – Oral Drops for Cats is a fantastic option for for your fluffy friends suffering from anxiety, chronic pain, or inflammation. Organic, full-spectrum, hemp-derived CBD oil, combined with organic terpenes, and organic MCT oil, creating an effective means of relieving anxiety and pain for your canine. Highly concentrated with 500mg of CBD in a 10mL dropper, our petCBD – Oral Drops is simply applied to your pet’s favorite treat for fast relief. Anti-anxiety, antioxidant, and anti-inflammatory all in one bottle! Our proprietary blend of terpenes work synergistically with CBD, and result in their own therapeutic effects, such as relief from inflammation and pain, and combating stress and anxiety. Our petCBD – Oral Drops is a fantastic option for for your fluffy friends suffering from anxiety, chronic pain, or inflammation. Ingredients: MCT (medium-chain triglycerides) oil, full-spectrum cannabidiol, proprietary terpene blend for anxiety and inflammation. Flavor: Vanilla Berry? includes hints of vanilla bean, strawberry, and blackberry for a soothing and sedating effect. Ingredients: CBD, proprietary terpene blend, plant extracts ? all organic ingredients. Effects: Promotes relaxation and sedation, assists with insomnia, combats neuropathic pain and inflammation, anti-anxiety, and an antioxidant. Our ever popular addCBD sublingual drops are now available with 0% THC! Mildly flavored with our terpene blend of sativa, it is our elating and energizing option (best for mornings) for combating anxiety, pain, and inflammation. Flavor: Mint Ingredients: Gum base, sorbitol, isomalt, full-spectrum cannabidiol (CBD), L-Arginine, Taurine, caffeine, stevia, all natural mint flavoring. 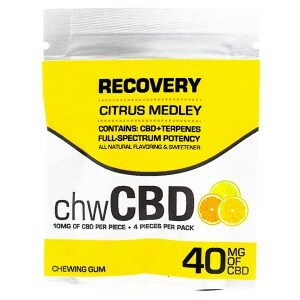 Flavor: Citrus Medley Ingredients: Gum base, sorbitol, isomalt, full-spectrum cannabidiol (CBD), vitamin C, vitamin B12, green tea extract, stevia, all natural citrus flavoring. 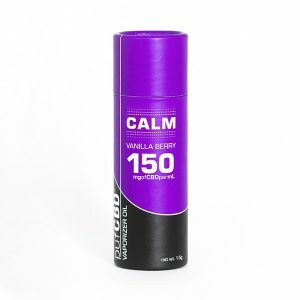 Flavor: Wild Berry Ingredients: Gum base, sorbitol, isomalt, full-spectrum cannabidiol (CBD), niacin, vitamin-B6, vitamin-B12, caffeine, stevia, all natural wild berry flavoring. Organic, full-spectrum, hemp-derived CBD oil, combined with mono-terpenes, and USDA, human-grade ingredients for relief from pain and inflammation. Organic, full-spectrum, hemp-derived CBD oil, combined with mono-terpenes, and MCT oil for relief from anxiety, stress, pain, and inflammation. Our petCBD – Oral Drops for Dogs includes a diverse and plentiful blend of terpenes, but most prominent are beta-linalool (found in lavender and jasmine), and beta-myrcene (found in sweet basil and mangoes), which emit their individual floral and spicy scents, but also have the effects of relieving pain and inflammation, and significantly reducing anxiety, while presenting sedative effects. And of course, our petCBD – Oral Drops for Dogs wouldn’t be complete without cannabidiol (CBD), a known combatant against anxiety, inflammation, and pain.